Today I am there to enlist the latest job offer from Culture Tourism & Antiquities Department Sindh Jobs 2019 Current Vacancies. Applications are being invited from the Culture-Tourism & Antiquities Department Government of Sindh intends to appoint the willing, caliber and capable and well-disciplined applicants are required currently for its various positions given below. 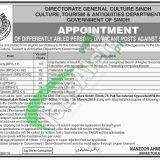 Jobs in Sindh Culture Department 2019 are such as (Junior Clerk, Book Sorter, Library Attendant, Mali, Attendant, Naib Qasid, Sanitary Worker) and these positions are on 5% disabled person quota. Appointment of these positions will be held on contract basis which is further extendable on satisfactory performance of an individual. The overall qualification for Sr. No. 1 Intermediate with 30 words per minute typing speed is required to apply and for all other positions, Middle/Primary pass candidates can apply. Age of applicants should be between 18 to 28 years. So, only suitable candidates should apply as per the following how to apply procedure given below. Applications are required to apply on the available proforma along with attested copies of educational and experience certificates, CNIC, Domicile and 2 passport size photographs should reach at the following address mentioned below. The last date for applying is March 11, 2019. 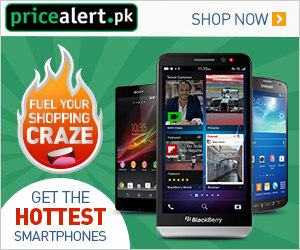 Selected applicants will be placed anywhere in Sindh. Number of posts can be increased or decreased at the time of interview. Address: Director General Culture Sindh, Block-76, Pak Secretariat, Opposite MPA Hostel, Sir Ghulam, Hussain Hidayatullah Road, Karachi.